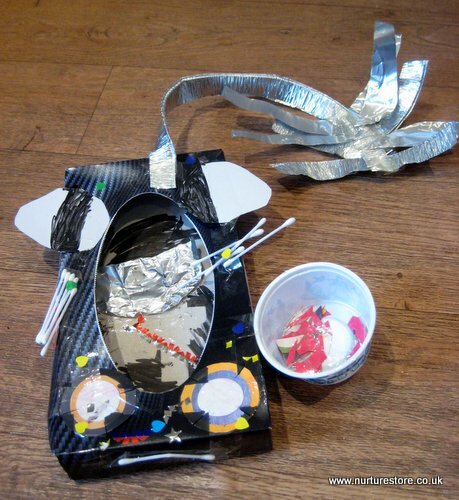 Whether you’re celebrating St. George’s Day, the patron saint of England, this month or whether you just need a junk model dragon to add to your play, here are four dragon craft ideas you can try. What colour is a dragon? Do they have wings? Do they breathe fire? All of ours were made from bits and pieces we had in our making box and each is unique, based upon the young artists’ impressions of what the dragon essentials are. They do have one thing in common though – they’re all scary! 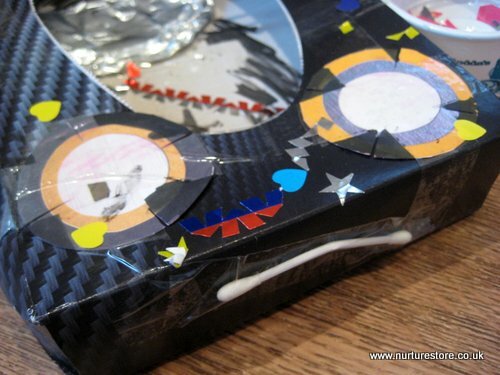 B made her’s from two boxes wrapped in old gift paper: one box for the body, a smaller one for the head. 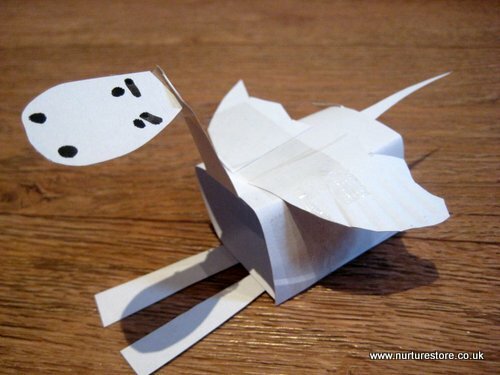 She added paper plate wings, cotton bud horns and terrifying zigzag teeth. She also made a baby dragon, cut from a paper plate and stuck together with sticky tape. A mother dragon protecting her young is a creature not to be challenged. 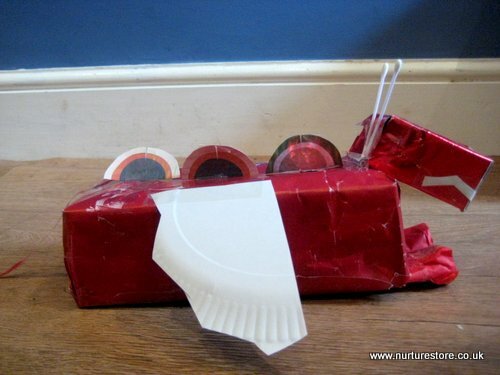 L made her dragon from a tissue box, with lots of sticking to add her extras. The tail is made from a tin foil pie dish and fortunately this dragon carried a pot of food along with it – so passers-by are probably safe from being eaten. He looks a little fed up with his people-free diet though, don’t you think? 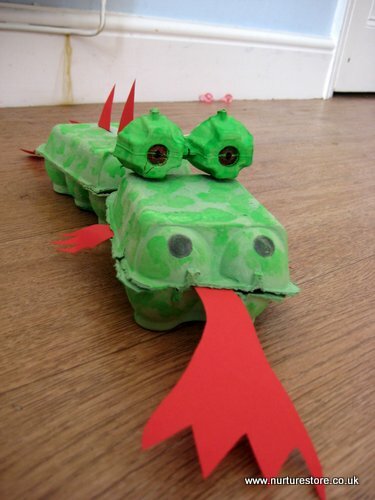 And here’s an egg box dragon from our archive – click through to see how it’s made. 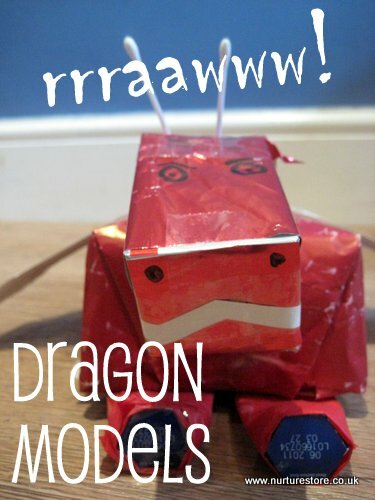 If you like our dragon craft ideas you might like to check out our other junk models including riding stables, dinosaur lands and lots more.